This design is a little retro, but it’s popular. The icons serve as a good reminder of the potential of these little eftpos gift cards: they can be used for everyday needs like groceries or petrol. Or your recipients could treat themselves with a show at the theatre or a bit of retail therapy. Or a nice meal out with family. Highlighting the potential of their spend on the card could just help them appreciate their reward a little more! 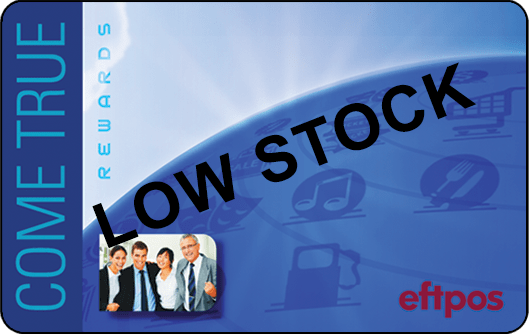 This card is often used for internal staff rewards, with its image of a workplace team in the bottom left-hand corner. So, reward your best team player with one of our eftpos cards — it’s a gesture that’s sure to reinforce positive culture and bolster workplace morale.